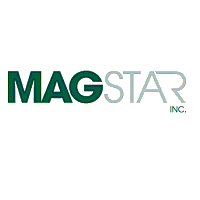 Toronto, Canada, June 13, 2012 – Magstar Inc. announced today that it has sold its shares to Constellation Software Inc. (“Constellation”) (TSX: CSU) through its wholly-owned subsidiary Constellation Homebuilders Systems (“CHS”). Located in Toronto, Canada and Established in 1986, Magstar supplies Enterprise Resource Planning Software to mid-sized retailers across North America and the Caribbean. Magstar’s complete product suite includes Back Office, POS, Mobile POS, Warehouse, and CRM applications. Magstar has been repeatedly recognized as holding an industry leading position by the Retail Information System’s News Leaderboard. Magstar’s success has been the ability to work with their customers to help them achieve the operational efficiencies they need to be profitable. Continuous improvements to the software, Point of Sale (POS) systems and now with the addition of a fully featured Mobile POS, ensures that our customers and partners have the technology they need when they need it, giving them the edge on their competition.